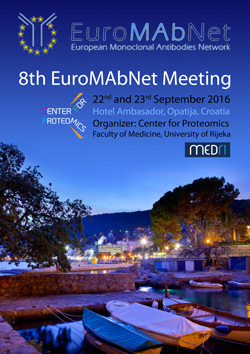 EuroMAbNet Meeting in 2016 will be held in the beautiful city of Opatija, Croatia, located in Kvarner Bay in western Croatia. Opatija boasts with over 100-year long tradition in tourism, a multitude of hotels and villas and a 12 km long, illuminated coastal promenade. More information on Opatija. Since Opatija has a very busy tourist season, we recommend booking your accommodation as soon as possible. A discount has been negotiated for EuroMAbNet members in Hotel Ambasador; however, you are welcome to book your accommodation elsewhere. Recommended poster format: approximately 1000mm width and 1600mm in length. Meeting participant are encouraged (but not obliged) to submit a one page abstract (maximum 300 words) about their work. The best 4 abstracts from younger scientists (under 35) and PhD students will be selected for a short talk (10 minutes) presentation during the EuroMAbNet meeting. Best 10 abstracts from students and young scientists coming outside Croatia will receive 500 € travel grant, courtesy of EFIS. 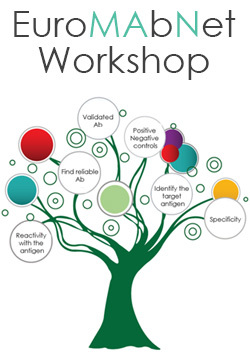 We encourage the Validation workshop participants to submit "problematic cases" of antibody performance to be discussed and addressed in the "Practical examples of antibody validation" session during the workshop to get hands on troubleshooting of issues directly related to your lab. Please send your "problematic cases" (maximum one written page. Please add figures if available) to groncador@cnio.es before the 29th of August. The Opatija Riviera has excellent traffic connections with the world, so traveling to Opatija is easy regardless of the means of transportation you decide to use.